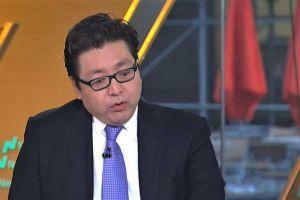 After the crypto market exploded last Friday, Tom Lee, the famous Bitcoin bull and head of research at Fundstrat Global Advisors, shared some optimistic insights about the bitcoin price. First, on Sunday, Lee referred to a technical analysis by a TradingView, a social network for traders, user MagicPoopCannon, as an example of an analyst who has previously been bearish on bitcoin, but is now turning bullish, arguing that moving average lines are now setting up to form solid support for the price of bitcoin. Also, not everyone on TradingView agrees with the analysis. “Remember, on higher time frames trend is your friend and calling this the “bottom” is absolutely unprofessional as there is no way to know that for at least a couple months of retesting. Wanting to garner likes by stating that this is it just makes newer traders lose money and I am not into that. Risk mitigation is still a priority as long as the price is under USD 4400 at the very least,” trader Reparation responded. Also, last week, Fundstrat Global Advisors strategist Robert Sluymer said that cryptocurrencies are on track to retest their fourth-quarter lows in a weak technical position. A proprietary gauge of market breadth in the space shows smaller coins are most at risk, he added. According to Sluymer, a break below USD 3,100 would imply a decline to USD 2,270, while a move above USD 4,200 is needed to signal Bitcoin is beginning to improve. 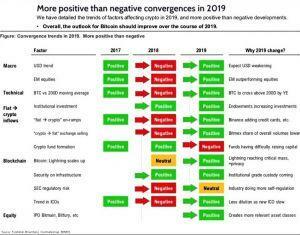 Prior to the discussion about MagicPoopCannon’s analysis, Fundstrat published its 2019 Outlook report for the cryptocurrency market. According to excerpts of the report, the firm admits that 2018 was a disappointing year for crypto, while also adding that they expect the market to stage “a visible recovery” in 2019. Although some of these developments can certainly be observed by anyone, others are vaguer or are pure speculation. Among the more speculative claims are for example the claim that the bitcoin price will cross its 200-day moving average line by year-end 2019, and that we will see a weakening of the US dollar this year that will benefit the BTC/USD exchange rate. This is not the first time Tom Lee has come out with lofty price predictions for the number one cryptocurrency, which in many ways has haunted him throughout the 2018 bear market. 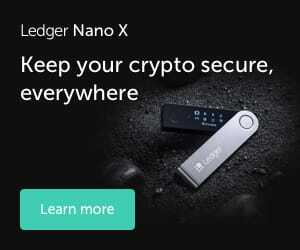 Despite that, Lee reaffirmed his view that USD 25,000 is a “fair value for bitcoin” in a recent interview with Fox Business. “Strangely, I just think that’s a good, fair value for Bitcoin, but the timing of that is going to be difficult [...],” he said at the time. Meanhwile, Brian Stutland, the Chief Technology Officer at Equity Armor Investments, told CNBC on Friday (watch the whole segment below) that the recent rally could be a beginning of a bigger rally. "Because when you look at the fact that if we move Bitcoin into an ETF, now portfolio managers that are out there can actually allocate to Bitcoin in their models and put that some sort of weighting in their holdings in terms of what people want to hold in terms of investment value," he explained. Bitcoin futures spike, here's what traders think it means from CNBC. What Will November Rain Bring for Bitcoin This Year?